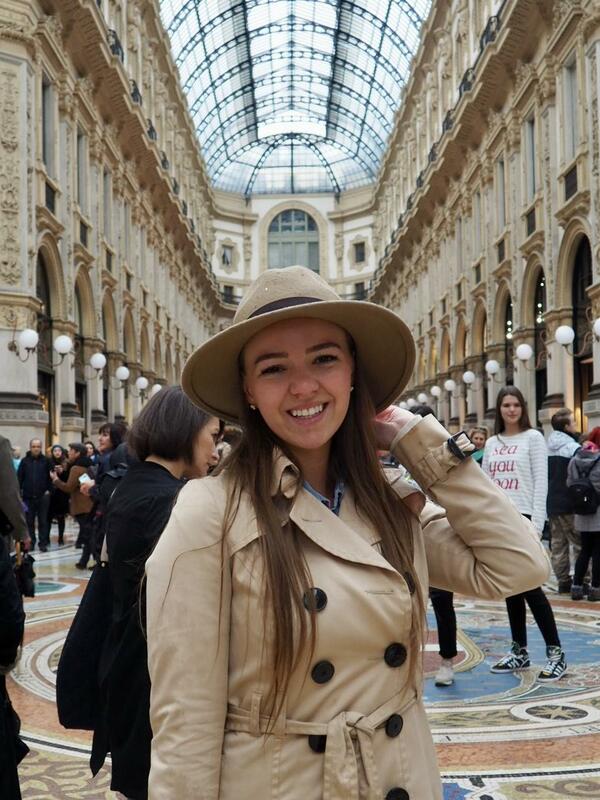 If you saw my roster post from last month, you would know that I was rostered a trip to Milan. 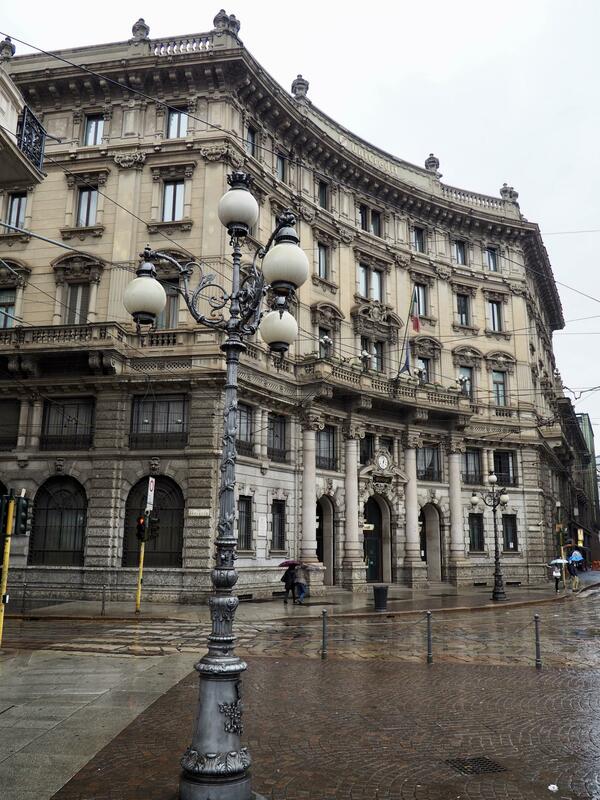 It’s been a while since I’ve been to Milan, and you can read about my trip there and to Lake Como by clicking here. This time, I wanted to head back to the city, and since we arrived in the evening, my plan was to get up early before the rest of the tourists. First things first though, dinner! After arriving at our hotel and a quick freshen up, most of the crew met down in the lobby to head to dinner. 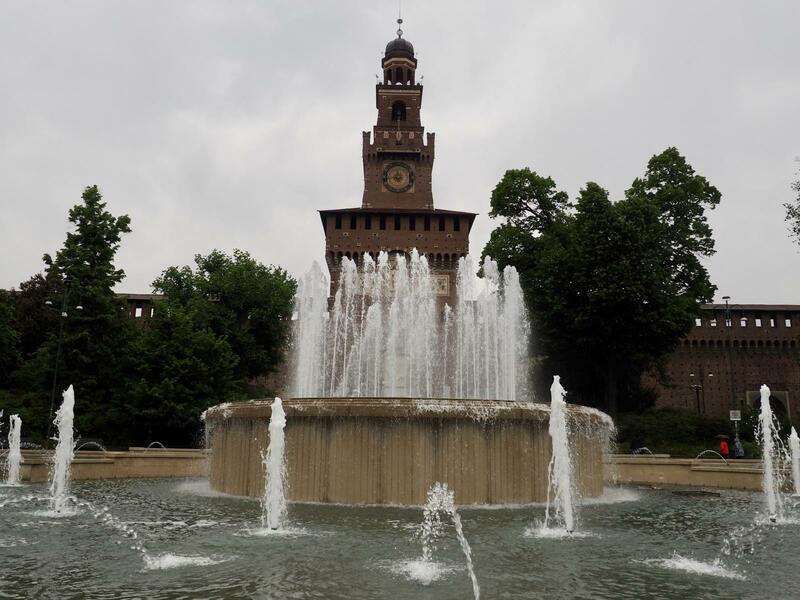 The hotel has an arrangement with a gorgeous family-run restaurant called Osteria Della Pista, so they came and picked us up in a mini van, and after a short drive we arrived at the restaurant. Italian food is definitely one of my favourites – just ask my mum! Whenever I go home, the only meal I always request is spaghetti bolognese 😉 And when in Italy there’s no point in denying yourself from trying all of the yummy pizza, pasta and gelato. 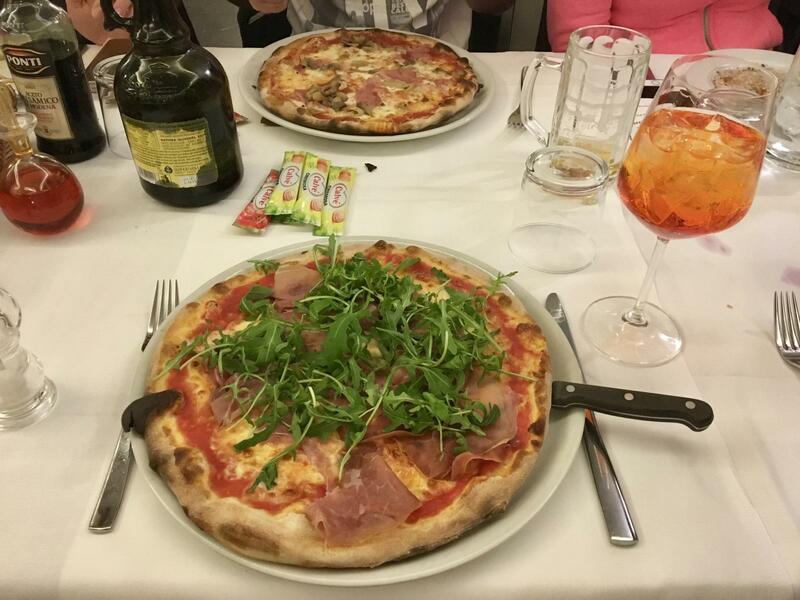 So of course this time it was no different, and I had the most delicious prosciutto and rocket pizza, served with an aperol spritz, and followed by homemade tiramisu, of course! The next morning I managed to set my alarm for a fairly early start, however the weather had taken a turn for the worse and it was a cool 13 degrees and pouring down with rain. 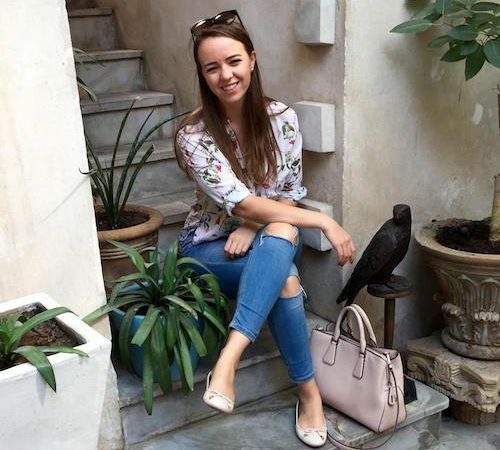 Nevertheless I managed to drag myself out of bed and get ready to head to the city – after all, I had big plans to get the perfect Instagram shot in front of the cathedral! The crew hotel is directly at the airport, right next to the train station. So although it’s a 30 minute ride to the city, at least it’s a non-stop direct journey. 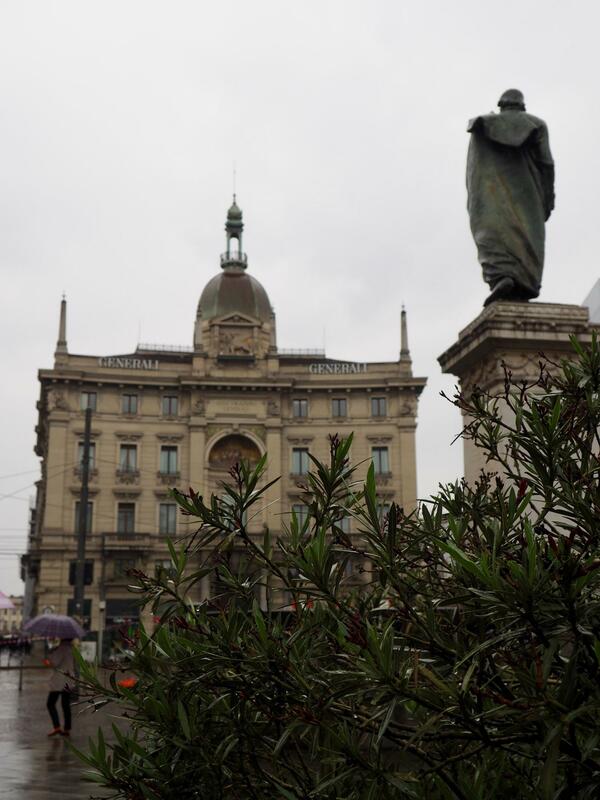 After arriving at Milano Cadorna, and only walking in the wrong direction a couple of times, I finally managed to find my way towards the city. 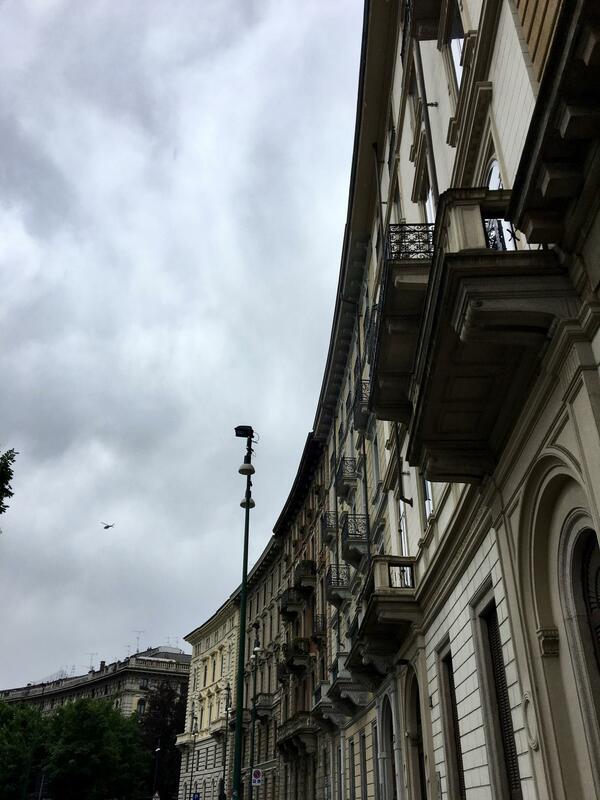 Not before stopping to admire some of the gorgeous Italian architecture, despite the gloomy weather. I stopped off for a quick cappuccino to get out of the rain, and connect to the wifi to get my route up on Google Maps! It was a fairly easy walk (luckily I had my umbrella!) down to the centre of town, and the famous Duomo. 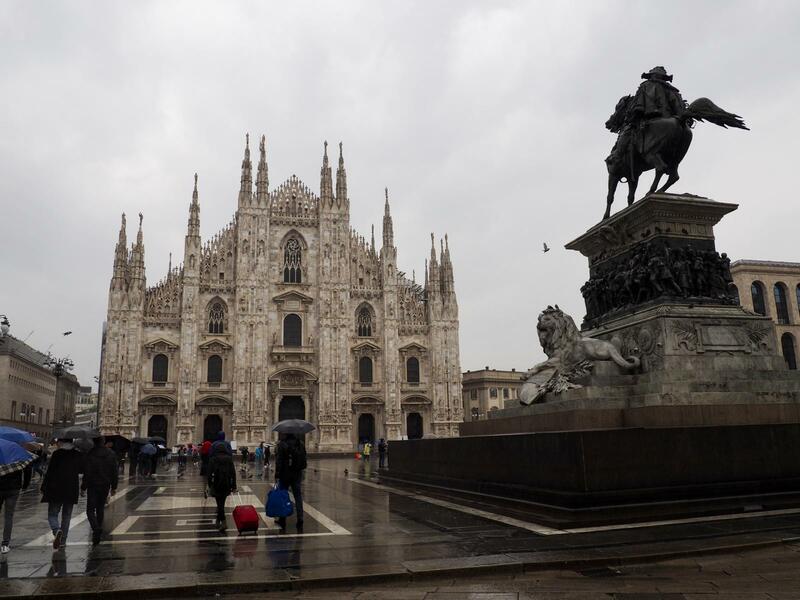 The Duomo, or cathedral, is the largest church in Italy, the fifth largest in the world, and took over 6 centuries to complete. It’s open daily from 8am – 7pm, and there is an admission fee of €2. There are also terraces which you can visit which cost a little bit more, however this time I didn’t go inside, as despite the pouring rain, there was a queue half a mile long to get in! Obviously I didn’t pack the most weather-appropriate shoes, so decided the next best plan of action was to head inside. 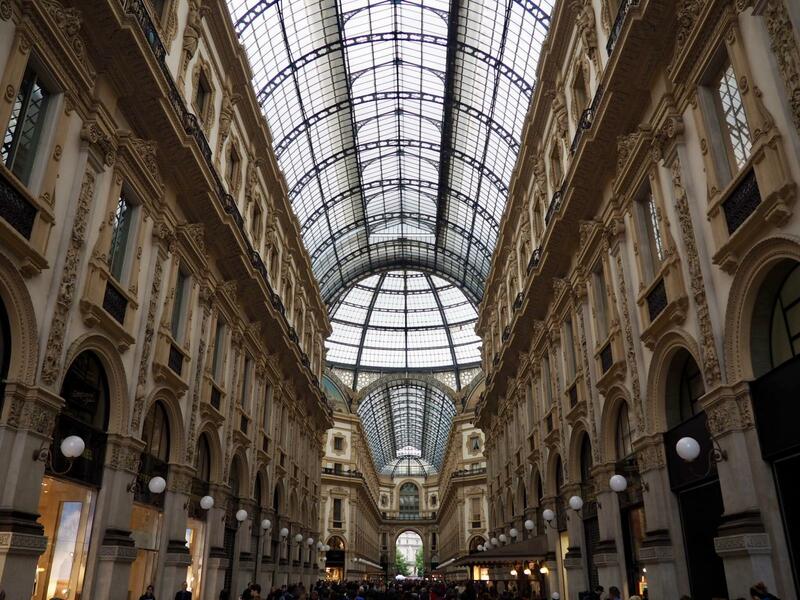 And what better place to do it than the Galleria Vittorio Emanuele II, right next door. 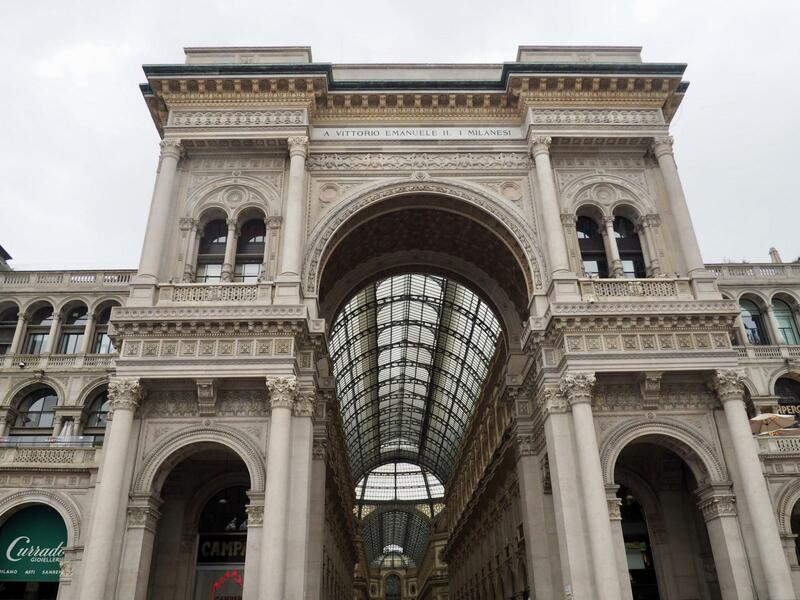 The Galleria is one of the world’s oldest shopping malls, and was built between 1865 and 1877, and named after the first king of the Kingdom of Italy. 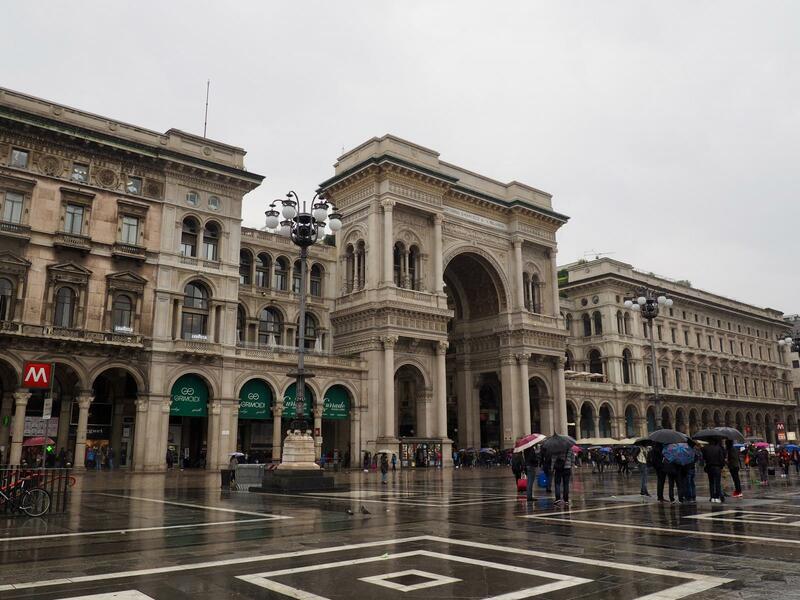 Now it contains luxury retailers selling haute couture, as well as cafés and bars, and is home to some of the oldest shops and restaurants in Milan. But most importantly…it was shelter from the rain! As you can imagine, on a Saturday morning, it was incredibly busy and full of locals and tourists alike. 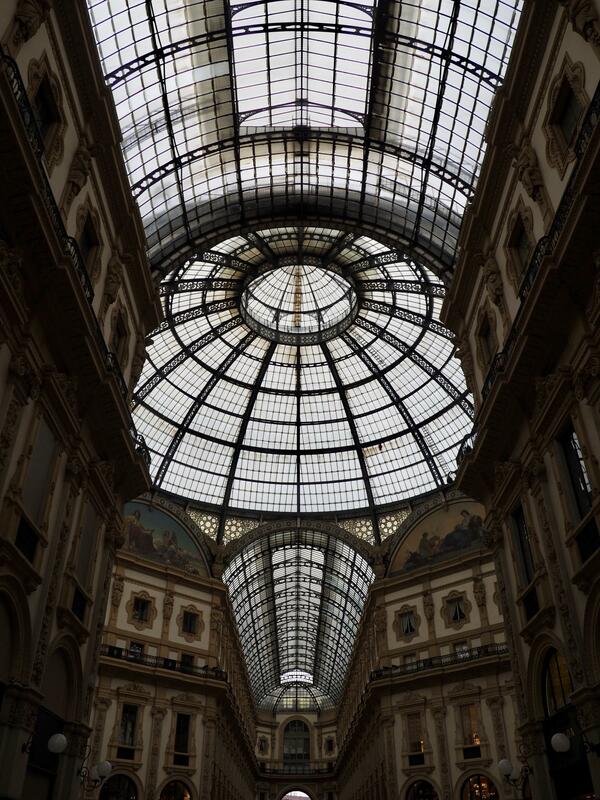 The structure of the shopping arcade is beautiful, with a stunning glass ceiling, intricate detailing and mosaics along the floor. I wandered out along the streets, stopping in the shops for a browse. For those of us who can’t quite afford the likes of Prada, Gucci, Louis Vuitton etc. in the Galleria, there’s a high street just a few minutes walk away with some of the more affordable shops. After a successful morning finding some nice summer pieces, it was time for lunch. 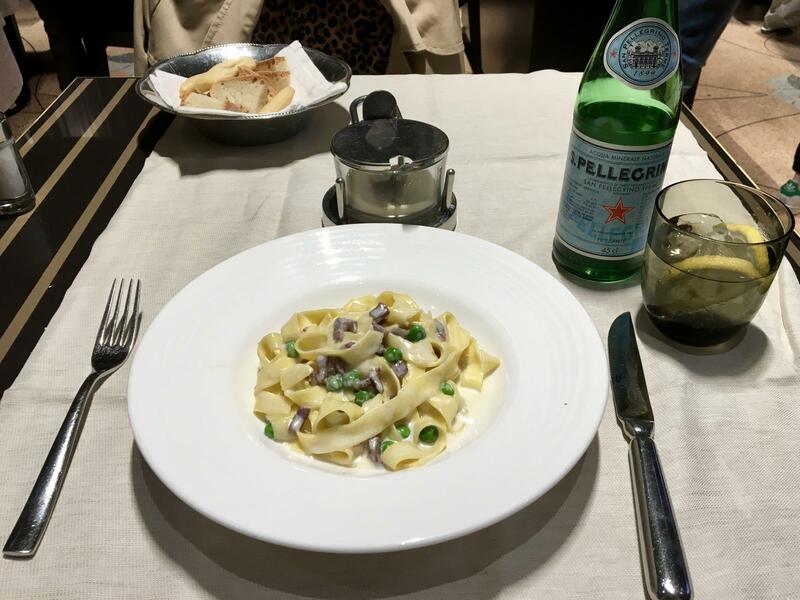 I’d had pizza the previous evening, so was in the mood for some pasta, and stopped at a nearby bustling restaurant for some creamy homemade tagliatelle with bacon and peas – delicious! After lunch I hopped back on the train to the airport and arrived with a couple of hours to spare before my night flight back home to Dubai, which I used for a quick power nap. 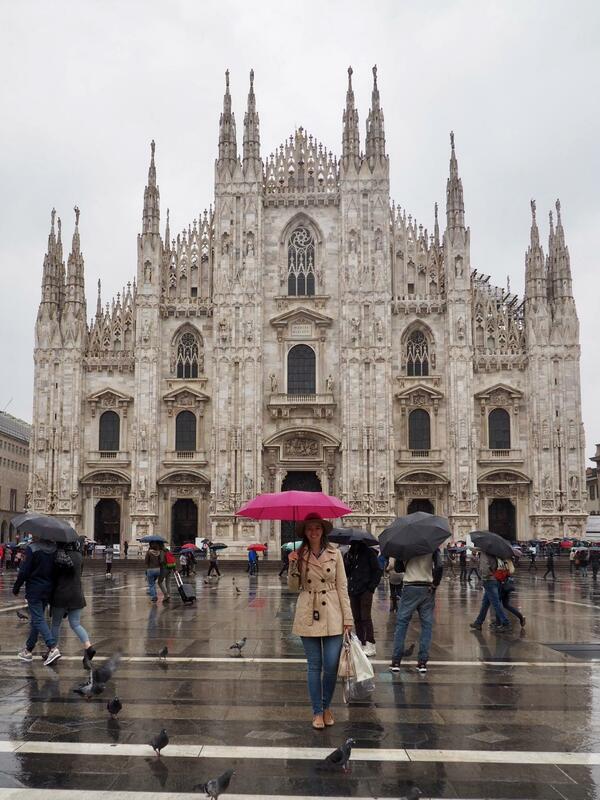 Despite the pouring rain the entire day, I still enjoyed my day out in beautiful Milano! Why is that everytime you visit a place, its always gloomy? Haha! What a good read! 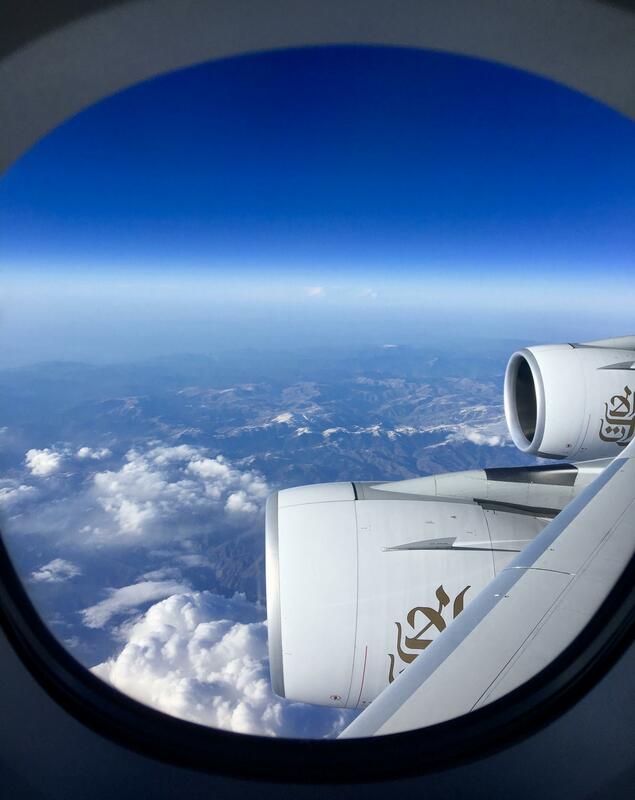 I hope to fly with you soon!